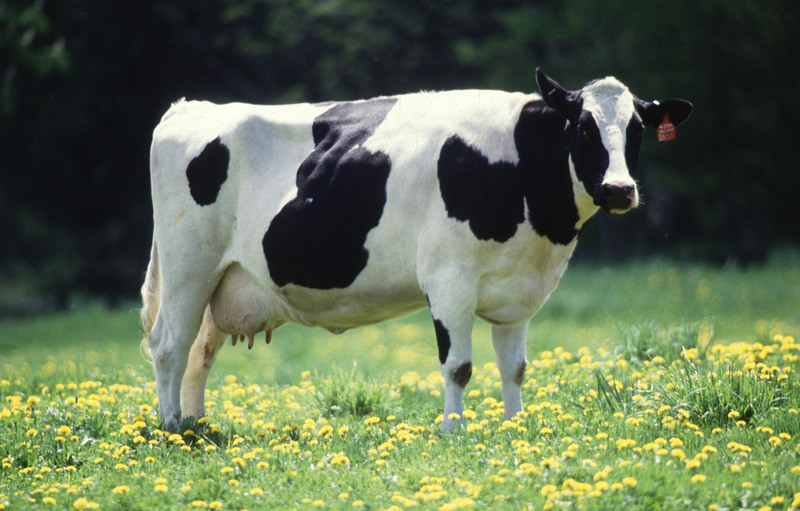 Organic Dairy Cattle are raised according to standards set by the USDA/NOP. Their feed must be raised on land that complies with USDA/NOP standards. There are rigid controls on the use of GMO's, herbicides, insecticides, hormones, and antibiotics. Only organic grains may be fed. Access to pasture during grazing season is required. Free Choice Organic Minerals for Cattle. Feeding Free Choice Minerals Has Effects on Many Levels: Helps the animal to balance nutritional minerals and trace minerals; Helps the animal to balance the Cation/Anion charge in feed; Helps the animal to balance the Cation/Anion charge in water. Feeders for Beef and Dairy Cattle. To be healthy, cattle need to consume a variety of vitamins and minerals. Our feeders make it easy to feed various minerals. Digestion products for Dairy Cattle. D.U.A.™ - Digestion Utilization Absorption - Organic Dietary Supplement For Livestock Production. Health Care Products for Organic Dairy Cattle. Aloe Vera Plus Garlic & Kelp, PRO BI. Organic Free Choice Mineral Kits for Dairy and Beef Cattle. Vitamins and Minerals are required for good health. Having many different minerals in the feeder allows the cattle to choose from the various minerals to maintain health. Specialty Items for Organic Dairy Cattle.